We know it takes the best to have a great tow! Tow Tempe delivers excellence and five star service for all your towing needs. We are rated #1 for all towing in Tempe Arizona. When you need a Tow Truck, look no further. Call Tow Tempe today! No matter where you are located, Tow Tempe is near you! We have the biggest fleet of Tow Trucks that can handle any size or type of vehicle. So if you need a Tow in Tempe or in a neighboring city like Phoenix, Mesa, Chandler or Gilbert, let us know. We have the fastest dispatch time and quick service available. Yes we cover all of Tempe Arizona for towing. We know every cross street and road like the back of our hands. Just let us know what your pick up intersection is and drop off and we will give you a towing estimate. 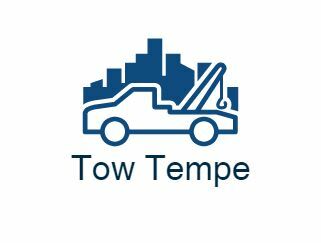 We love Tempe Arizona as we are local residents to it and realize that when you need a tow truck you want to work with a local and expert towing company to get the car or truck towed correctly. If your in need of an emergency towing service or need to get off the road quickly, don't hesitate to call Tempe Towing. We realize that emergency situations happen that need towing assistance. Whether you in an accident on the road or freeway or just need help on the side of the road, we are here for you. We take customer safety very seriously and make it our top priority to ensure you are safe and your vehicle being towed is properly cleared and taken to the correct destination. 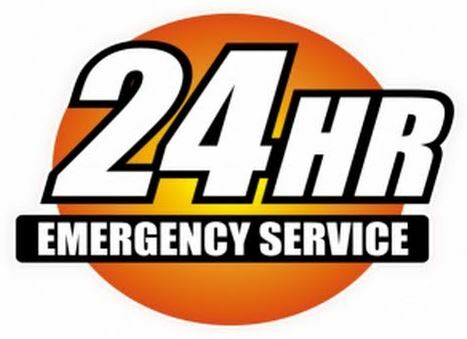 We are open 24 hours a day for towing, and not many towing companies can say that. So, no matter the time of day and whatever the problem is, don't be afraid to give us a call. Car towing is by far the most popular vehicle we tow here at Tow Tempe. We tow every single make and type of cars and we deliver it in excellence. We have flatbed trucks that are excellent at transporting your vehicle with no risk of being damaged unlike the other towing companies. If your looking for expert towing service and a professional tow, well look no further. Your car is our top priority. We deliver and tow your vehicle to it's destination in the safest way possible. Believe it or not, even motorcycles can break down and have problems. We know how to handle your sweet two wheeled ride. We have the right trucks and towing equipment to safely and effectively move your motorcycle from your location to where it need to go. Our tow trucks are specifically designed to transport all motorcycle types from Harley Davidson to bullet bikes to dirt bikes. Whatever kind of bike needs a tow, just give us a call and we will get it taken care of! Yep, we can get your car started when it just wont start. We deliver jump start to get you vehicle up and running and help get your dead battery some life again so you can start your vehicle. If were unable to jump start your car in Tempe we are able to tow you to get your battery replaced. We have the jumper cables required to get you the jump you need. 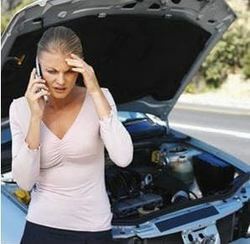 So if you stuck in a parking lot with a dead battery and need some assistance with a jump start, give tow Tempe a call. We are experts at getting your car the power it needs to start again! On a budget? No problem! Our pricing is very competitive and the cheapest option for a tow truck in Tempe Arizona. With a cheap tow though don't get the wrong impression. Our towing service is high quality, we just don't want to be dishonest like the other towing guys. 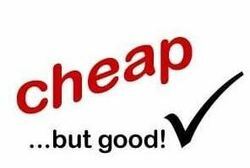 So look no further for an affordable towing service. We can and will deliver the best towing prices that are fair. Let us know your cross streets and we can give you a towing quote over the phone! Nothing is worse than your vehicle breaking down on the side of the road! Especially out in the HOT Arizona heat! Don't worry, we offer the best roadside assistance in Tempe AZ! No matter the problem with your vehicle, car, Truck or Motorcycle, we take care of you from start to finish. We offer Roadside Assistance for any type of problem from offer you an affordable tow, to lockouts to jump start, tire changes, you name it! So if your in a bind and need some towing assistance in Tempe AZ look nowhere else. We are the most reliable towing company Tempe Arizona has to offer! We run most our fleet with flat bed tow trucks. Why you might ask? because it much more reliable and safe for all the vehicles we tow and reduces any chance of your vehicle being damaged. Especially if you have a luxury vehicle that needs a tow, give us a call. 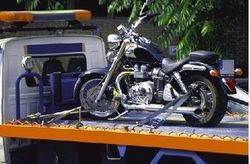 DO NOT trust the smaller un-experienced tow truck companies to risk damaging your car, truck or motorcycle. We will professionally tow your vehicle with no damage anywhere in the eastern valley from Tempe to any neighboring city. We are Tempe's Flatbed Tow Truck Specialists! Let's set things straight here. Many Tow Truck companies in Tempe AZ claim they are open 24 hours a day but they are not. 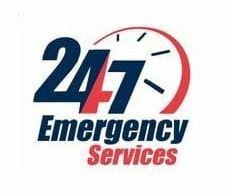 We will answer you call for help 24 hours a day, 7 days a week. We are dedicated and committed to providing excellent towing service in Tempe at any time to help you in distress. So when you need a tow at any time, look no further. Trust your Tempe towing experts at Tow Tempe! Why should I choose Tow Tempe for a Tow Truck? Listen, we understand that there are other choices out there to get your vehicle towed from point A to point B. We get that. What we offer that the other guys don't, first and foremost is EXPERIENCE. We have been towing all vehicle types for over 30 years and the one thing we have seen with our competitors is they simply don't know what they are doing and are extremely inexperienced. We also have the biggest and most reliable fleet of Tow Trucks in Tempe Arizona. We can tow any kind of vehicle and not many people can say that. So if your looking for the fastest pick up times and service, call us because we can handle the business and have the fleet to support it. We also offer TRUE 24 hour towing service. This is really important for anyone who is in a bind and needs help immediately, no matter the time of day or night. We are always on call to take the work to help the customer. We specialize the the most services as a towing service provider in Tempe AZ. We cover everything for towing, lockouts, dead batteries, jump starts, tire changes, fuel delivery, roadside assistance and much more. You tell us what the need is and we will deliver. Lastly we are the TOP rated LOCAL towing company for Tempe Arizona. 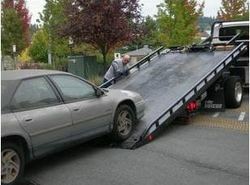 We love our residents and even our college students who need a Tow or assistance. So go with Tempe's towing experts. Choose Tow Tempe for all your emergency Towing Needs! You bet! We have a two great companies in Utah that covers the entire Salt Lake City area! Towing Service Salt Lake City and also Tow Truck South Jordan. Visit their websites to learn more and schedule a tow! What's the process for setting up a Tow Truck Pickup? When your vehicle breaks down how do you set up a Tow? Well its a very simple process and we make the whole thing very simple so you don't have to stress. Here's a simple step by step process on how you can easily set up a tow with Tow Tempe! 7. Tow Tempe then collects payment. It really is that easy. So when you need that Tow to wherever you got to go, or if your in distress or i need of an emergency Tow, follow the steps above and will will have you taken care of in a jiffy. We want to be your towing customer for as long as your here in Tempe Arizona. Thanks for stopping by. Please Call us below for all your Towing Service Needs!